We provide bespoke casework and advocacy services to give you the best possible chance of achieving a fair and accurate assessment or reassessment for NHS Continuing Healthcare, without the need for appeal. The services can be uniquely tailored to your needs and wishes. We can help you understand the eligibility criteria and Decision Support Tool, prepare you for the assessment meeting and support you on the day, and ensure that the evidence accurately reflects your care needs. a de-brief after the assessment to prepare you for the next steps and discuss anything that arose from the meeting. comprehensive review of relevant care records on the day of, or the day before, the assessment meeting. Whenever possible, we strongly recommend opting for the Plus+ service as it provides an opportunity for your caseworker to fully appraise themselves of your care records ahead of the assessment. This puts them in a more informed position to present your case for Continuing Healthcare eligibility. draft detailed family comments on the draft assessment prior to a Clinical Commissioning Group decision or panel. Our standard Assessment Support Service has a fixed fee of £1,500 (plus VAT at 20%). Our Assessment Support Service Plus+ has a fixed fee of £1,800 (plus VAT at 20%). Additional Bespoke Assessment Support is charged at our hourly rate of £150. You have complete control over the costs because we won’t tie you in to a long contract and we’ll discuss the number of hours required before proceeding at each stage. As a guide, the cost of Beacon providing professional advocacy at an assessment to help secure 12 months of funding is usually less than the equivalent of two weeks’ care fees. Read more here about how our fees compare to the market average. "Beacon came to my rescue and through their expertise they challenged and won our appeal. Have continued to use them as advocates in all of my mothers yearly reviews ever since. Would highly recommend." "Anyone who has tried to struggle through the minefield of CHC themselves, as we did, will be hugely relieved to put their case in the hands of experts. 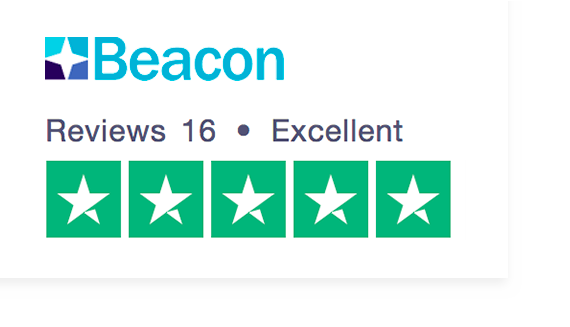 Beacon representatives were professional, efficient and effective. I would definitely recommend them." "Amazing job, so professional and efficient but at the same time caring and understanding." Why get help with your assessment? Beacon’s Assessment Support Services provides expert support and welcome reassurance as you navigate the complex NHS Continuing Healthcare assessment. We can ensure you are well prepared, with written evidence, for the important assessment meeting, and be there as your specialist advocate on the day. NHS Independent Panel members regularly tell us that our client representation is amongst the best they have seen, and clients say that our presence offers enormous reassurance. Our help can give you the best chance of a positive decision first time. This is quicker, simpler, and less stressful than having to appeal a negative decision if you think your assessment was inaccurate or unfair. Not looking for casework, and just have a few questions about your assessment and NHS Continuing Healthcare? Contact our free Information and Advice Service.